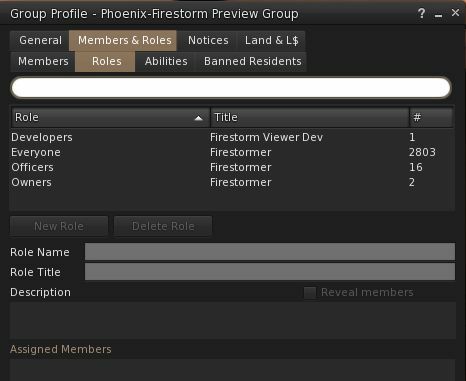 Firestorm 4.7.1 Beta: It’s here! Sunday, May 3rd saw the release of Firestorm 4.7.1.45325 Beta. This is another big update which brings Firestorm pretty close to being up-to-date with the Lab’s viewer. However, it has been given a beta status as there are further important updates coming out of the Lab, such as fixes for AIS v3 attachment issues, the new Viewer-Managed Marketplace functionality, etc. As such, the Firestorm team will be working on a further release, which will be made available once the Lab has made these updates and new functionality generally available through their viewer release channel, and this will count as a “full” release of Firestorm. Given the sheer number of updates in the release, I do not intend to cover everything here, but rather an overview of some of the more major / interesting changes, updates and fixes to be found in the release. for full details of all changes, and all due credits to contributors, etc., please refer to the official release notes. As this is a beta release, there will be no blocking of any older releases of Firestorm until after the next “full” release is made. The 4.7.1.45325 release brings Firestorm up to parity with the Linden 3.7.26 code base (with some updates from the 3.7.27 and 3.7.28 releases). Given the last release (4.6.9) brought Firestorm to parity with the Lab’s 3.7.8 code base, this means this release includes a significant number of updates direct from the lab, which include, but are not limited to, the following. The Lab’s Avatar Hover Height option is included in this release, allowing users to make on-the-fly adjustments to their Avatar’s relative position above the ground / the floor / an object it is sat upon, via a slider or spinner, with a range of +/- 2 metres. The option is accessible via the avatar right-click context menu / the pie menu, which displays the slider / spinner. 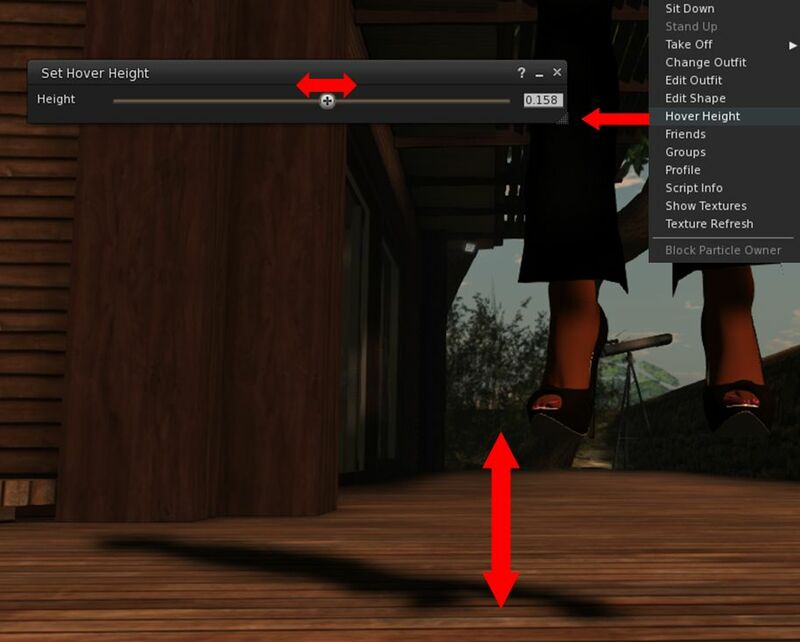 Avatar Hover Height allows for on-the-fly adjustments to your avatar’s relative position above the ground, etc. Avatar Hover Height can be used whether you are standing, sitting, using a poseball, etc. However, note that it is a change to the graphical representation of your avatar – the option does not make any associated change the avatar’s height in terms of platform physics. Firestorm 4.7.1 includes the new default permissions panel for setting the initial permissions on created items – objects, uploads, scripts, notecards, gestures and wearables. contributed to the official viewer by Jonathan Yap under STORM-68, the new panel can be opened via Preferences > Firestorm > Build 1 > Default Creation Permissions. Joint offsets in rigged mesh attachment fixes: removes the unpredictability from attaching multiple meshes with joint offsets which meant you could see yourself with different joint positions at different times, and the way you saw yourself might not match up to what others saw. Instead, wearing the same set of meshes should always produce the same joint positions, and the way you see yourself should consistently match the way others will see you. The process for removing attached meshes is also more robust, so you should be able to reliably get your old joint positions back after meshes are removed. New unified snapshot floater and updated SL Share 2 capabilities: see Snapshots and Photography Updates, below. Perhaps the most noticeable update in this release is the complete overhaul of the Preferences panel, tabs and sub-tab. Every major tab in Preference has been revised and rationalised, and most of the sub-tabs have been revised / added-to, along with a number of new sub-tabs being added to various tabs. The result, while possibly confusing when first discovering a particular option has been moved, is actually a better, more logical set of Preferences tabs and sub-tabs. Documenting all of them is beyond the scope of a review such as this, and the recommended means for finding options and to gain familiarity with the new layout is to use the Preferences search bar. Firestorm 4.7.1 incorporates the unified snapshot floater developed by NiranV Dean and contributed for inclusion in the official viewer. 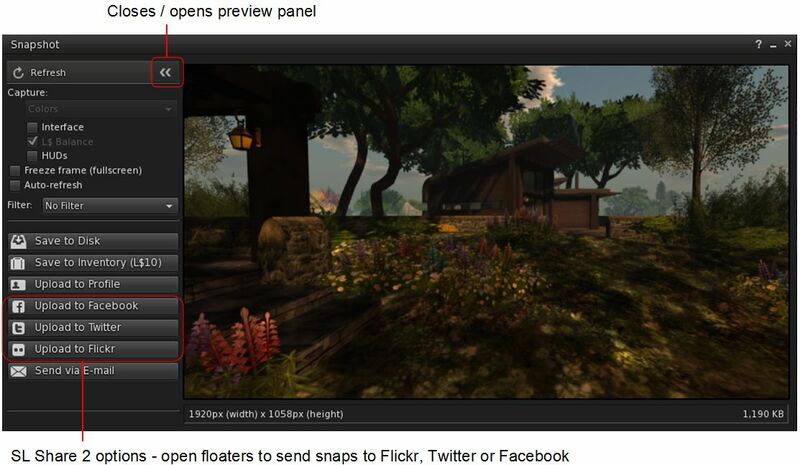 This floater offers a much larger image preview window (which can be closed when adjusting a shot), and includes buttons for uploading images to Facebook, Flicker and Twitter. The SL Share 2 functionality also introduced the ability to add filter effects to your images as they are taken, and Firestorm now incorporates this as well, with additional filter effects by Whirly Fizzle. These can be added directly to the image by clicking on the Filter drop-down and selecting the desired filter effect, which can then be seen in the preview panel. The Firestorm snapshot floater also includes a new capture option when saving snapshots to disk: Depth (24-bit):. which encodes the pixel-to-camera distance in all three colour channels. A video from Sempervirens Oddfellow demonstrates how to convert “Depth (24bit)” capture output. Firestorm obtains the Region Tracker from Alchemy viewer. It allows you to monitor how many avatars are present in regions of your choosing, and works in conjunction with the world map. The floater lists all regions added to the Tracker, displaying them by label (set by the user), the region’s maturity level, its actual name and the number of avatars in the region. The list can be sorted alphabetically by label or region name, and numerically by number of avatars present, and the width of the individual columns can be adjusted. Map: opens the world map focused on the selected region. Regions are added to the floater by opening the world map, locating them via Find, and then clicking the Track Region button in the lower right corner of the map’s legend. This will display a dialogue box allowing you to add a label for the region. 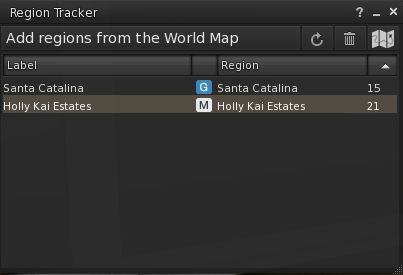 Clicking OK in the dialogue box adds the region to the Tracker. Throttled link replace actions to 25 items per second to improve reliability when replacing a large number of links (controlled via new debug settings: FSLinkReplaceBatchSize and pause time FSLinkReplaceBatchPauseTime. From a feature originally implemented in Catznip, Group Snooze allows you to send a group chat panel to sleep for a pre-set time. Click the Zz button in the top right corner of the panel, and it will no longer be shown in the conversations floater or as its own floater, if displayed separately, until the snooze duration has passed (or you manually re-open it via your groups list). The panel will re-open on receipt of the first message after the snooze time has expired. The snooze time for group chats can be set via Preferences > Chat > Chat Windows > Group Chat Snooze Duration (default: 900 seconds). Opening the Members & Roles tab in the Group folder now defaults to displaying the Roles sub-tab, rather than Members. This change was requested by Linden Lab to help ease system performance problems caused by the viewer requesting (and re-requesting) large group members lists when the tab defaulted to Members. When exporting a group list, donated square metres are now included (Group Info > Members & Roles > Members > Export List). Passwords longer then 16 characters are now allowed on OpenSim grids. I’ve been using Firestorm 4.7.1 since it first reached beta, and through the preview programme and found it to be generally stable and reliable, although I have experienced some severe attachment issues on region crossings, possibly as a result of AIS v3 rather than known server-side issues. Linden Lab have released a suite of fixes for such AIS v3 issues (Project BigBird), but these updates are still only at Project Viewer status, and so could not be incorporated into this Firestorm release. As noted at the top of this article, they will hopefully be in the next release, which should also include the Lab’s upcoming Viewer-Managed Marketplace updates as well. Certainly, this release brings Firestorm very close to parity with the Lab’s release codebase (currently at 3.7.28, with firestorm based on 3.7.26). Again, as noted earlier in this piece, this is a considerable leap forward for Firestorm, given the 4.6.9 release only gave it parity with the Lab’s 3.7.8 code. So kudos and congrats to all of the team! Previous Post Is Sansar the name of the Lab’s new virtual experiences platform? Logging in with the new version now. Can’t wait to see what improvements the genius scripters have made to my favorite viewer! And about the new drivers about ati? Omega ? works? If you’re referring to the issues rendering rigged mesh when using AMD Catalyst™ 14.x drivers, this isn’t a Firestorm problem per se, but has affected all viewers using those drivers. However, the latest 15.4 drivers released by AMD at the end of April include a fix for the problem (originally released in the 15.3 beta AMD update at the end of March). Please see my post here. Yea! i know, but i’m not sure, i try to update my drivers, and i tell you if are fixed ^_^ ty so much, great work with your blog! 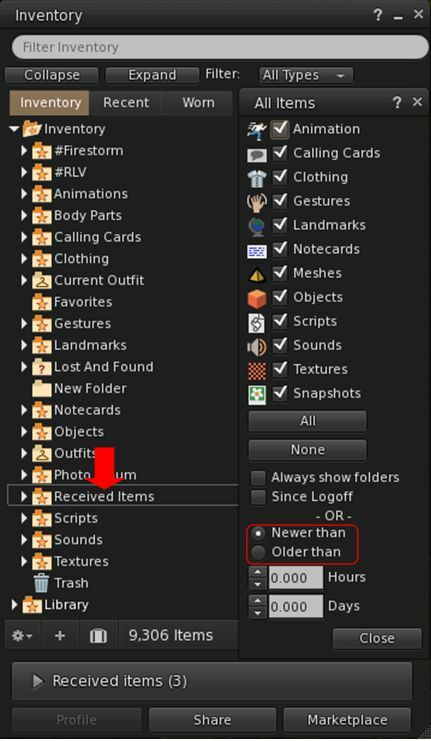 Since this update, I am unable to see materials on objects that were once visible in the previous release. Also, it’s the same for the new SL viewer. I’m not encountering that issue myself with in-world objects (I don’t have any materials-enabled worn mesh to test). I know you probably already have, but just to cover the bases – have you confirmed that nothing has been disabled in your graphics settings – such as ALM? If it is something you can persistently repro on FS and / or the LL viewer, and isn’t down to an incorrect graphics setting, would suggest raising a JIRA on either / both & provide as much info as possible. You may just be seeing Materials as they’re intended to be seen for the first time, if you had been using the broken ‘Screen Space Reflections’ (SSR) feature of the previous release. The implementation of Materials broke SSR. The best viewer just keeps getting better! Thank you Firestorm! Thank you Inara! Using latest LL viewer (official branch) i’m not having any materials issues, only a issue when trying to wear more then a item inside a folder at same time (for example, a folder containing a pair of shoes, if i select them both and wear the 1st one gets detached and i have to select and wear it again). Just in case you weren’t aware, you can hide the UI in any viewer prior to recording by pressing CTRL-ALT-F1. As to including high-quality video capture into a viewer, that’s a huge ask, as it really is an application in its own right – and there are a lot of tools that really do it very well (I personally use Bandicam for my capture work (720p) without any loss of quality issues). *chukles* i know what already is all possible, I use a lot of ways, though i try to record at 1080p but when I do, and also need monitor chat, well that can become a little hard. And as stated, an future i would love to see, i dont expect it to be in like the moment i suggested it as am pretty sure it not that easy or least not as easy i one would think it to be, even if we use DxShow or an version of that, It be not as easy; though obviously DxShow be for Direct X and not used by our viewers if I recall, but as an example source idea maybe so to CAVIGenerator(); an open gl version, though rather old. And as stated, just an idea; I my self use SCFH, Procaster from Livestream or even VLC. Only thing i find a bit annoying in the recording is the easy loss of details off avatars that tent to be int he background. While in SL you can make out a good bit of detail, the recording toys seem to loose quality there way faster. Hense an idee of perhaps having something build in that would make it much more easy on many of us, even perhaps live streaming possibility’s *for example for Relay or other large live events. Where the person recording also has to monitor in world chat. One of the best apps for recording is called frapps. It costs about 30 bucks but is phenomenal. Up to 60FPS video(I use 30) and Bit map snapshot option. You can remove the IU..just look up how in SL or IM me in SL(oh see below). Try it, you will like it. 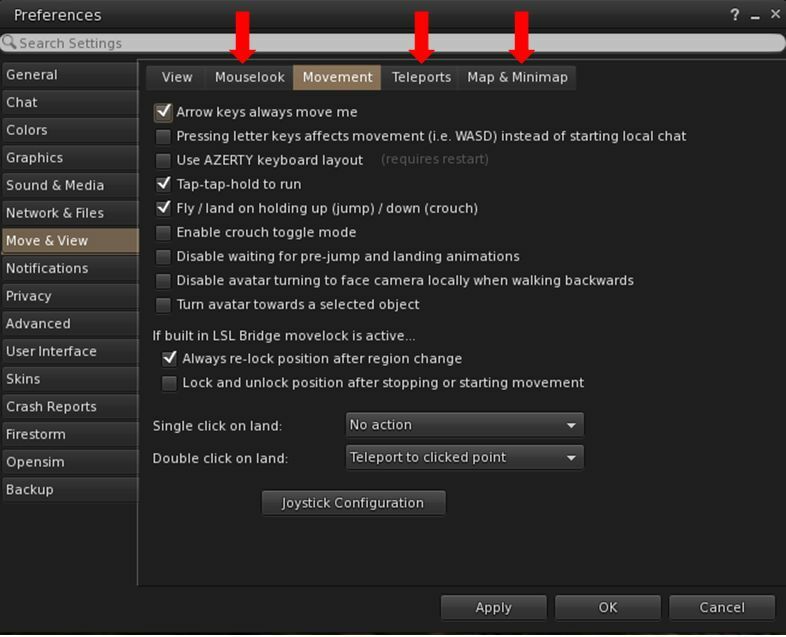 You can then use Handbrake to compress it down and lose almost nothing…Perfect even on a 30″ monitor. Fraps also works pretty well. Hoping the advanced shaders work in opensim now. I’ve had to resort to Singularity for my Opensim development since they weren’t working with Firestorm in OS no matter how I futz with settings. Dunno if this is the correct place for this comment , BUT …. I’m having a real problem with a change to the Inventory >> Outfits; In the past I have created an ‘outfit’ then take a picture of it and add that picture to the ‘Outfits’ folder (not in with said outfit, but separately in the main Outfit folder). Also, I have them arranged in sub-folder “Casual clothes’, Formal wear , etc.. With the new update I cannot add a picture , nor can I arrange in sub-folders. I work as a hostess, and I NEED these features. It will be a nightmare to find anything in the ‘Outfit’ folder as it is. It will be worthless to me, might as well go back to my old way of doing things, making my own ‘style cards’. Please HELP ! thanks. I’m still able to create sub-folders within Outfits myself and create copies of items / links to items. However, I see what you mean about being unable to drag-and-drop snapshots into Outfits. This may be a result of changes LL have made to some inventory operations, but cannot say for sure. The best places to get questions like this more thoroughly answered is through the Firestorm in-world support group as a first stop. While I review viewers like Firestorm, I’m not a part of the support team. Nice features, but since upgrading, I find mesh objects and mesh clothes take ages to render. Up to 10 min, which is not really acceptible if flying or sailing and you can’t see your vehicle. And half the peeps are nakey. Thats fine, but the other half are see-through. For Opensim Var Region is the new Version buggy. Horrible on mine too !!! I tried the this beta release in OSGrid and found the AO to be flaky. It was using random animations, back floating in air, then walking when standing etc. I disabled the FS ao but no joy. I have rolled back to the previous release for now. Sorry, no; the preview panel cannot currently be resized. At the moment the only options are to either minimise the entire snapshot floater or use the arrow button next to the Refresh button to hide the preview pane. I tend to use either one when aligning / fine-tuning my camera focus / position. It’s the same with the official viewer and any other viewer using the unified floater – the price of having a preview that displays in the correct aspect ratio. NiranV Dean who contributed the code for the revised floater to LL is working on some updates; whether these will include a resize option, I don’t know. One thing he was considering was making the preview pane completely detachable from the rest of the floater. Whether this will help you and others having the same problem will come down to seeing how it behaves if Niran does opt for that approach & the Lab adopt the code. I’d missed this at the time of writing: Niran’s snapshot floater with detachable preview panel is now available in his Black Dragon release 2.4.2.5.
forever fetching inventory Everytime I log in, avatar movement lagging way behind or floating along, edit takes a full minute to show up making building a painful experience. These were only guesstimates but seem to work just fine. I did look on the Firestorm website and find no info on this.